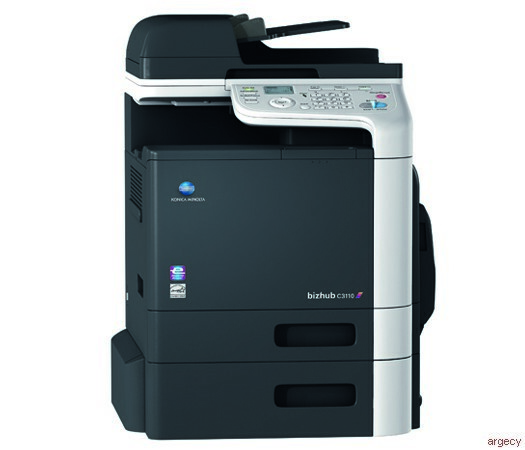 The bizhub C3110 brings more color power to your desktop, with brilliant image quality at up to 32 ppm, Emperon print controller, PageScope software for account management, even optional Super G3 for mixed MFP and desktop environments. Original format 4" x 6" to 8.5" x 14"
SCD-25 Copier desk Ensures ergonomic height and provides storage space for print media, etc. 2015 KONICA MINOLTA BUSINESS SOLUTIONS U.S.A., INC. All rights reserved. Reproduction in whole or in part without written permission is prohibited. KONICA MINOLTA, the KONICA MINOLTA logo, Count on Konica Minolta, bizhub, PageScope, Emperon, Simitri, and Giving Shape to Ideas are registered trademarks or trademarks of KONICA MINOLTA, INC. All other product and brand names are trademarks or registered trademarks of their respective companies or organizations. All features and functions described here may not be available on some products.